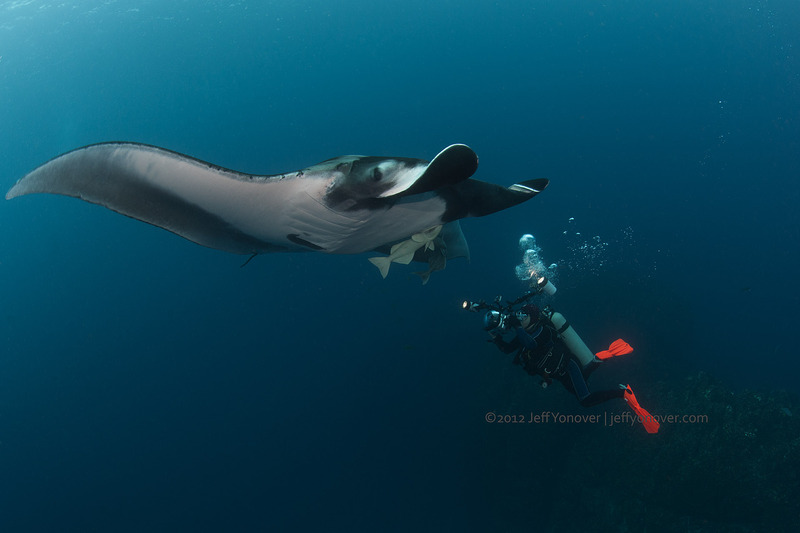 Boatmate Jeff Yonover took this photo while I was photographing one of the manta rays last week in the Socorro Islands. I'm easy to spot with the SCUBAPRO Seawing Nova fins in orange. -- with Jeff Yonover.